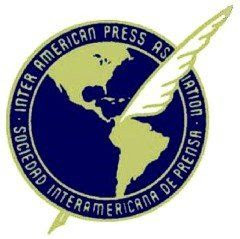 The Inter American Press Association (IAPA) is a not-for-profit organization dedicated to the defense and promotion of freedom of the press and of expression in the Americas. It is made up of more than 1,300 print publications from throughout the Western Hemisphere. Today, it condemned over 400 detentions over the month of September in Cuba, the systematic violation of free expression and intimidation of foreign press correspondents. For more information on Cuba from IAPA the April 6, 2011 country report is also available here. Miami (September 29, 2011)—The Inter American Press Association (IAPA) today condemned a recent escalation in Cuban repression of dissidents, violations of freedom of expression and obstacles to foreign correspondents, an issue that will be taken up by a special committee of the organization at its General Assembly to be held in Lima, Peru, October 14-18. The Cuban Human Rights and National Reconciliation Commission reports that the repression of independent and opposition media has become more frequent, and that this month alone 400 arbitrary detentions have taken place, ranging from a few hours to several days – the highest number of arrests in the last 10 years according to that organization. Marroquín, president of the Guatemala City, Guatemala, newspaper Siglo 21, added that the repression is also aimed at the foreign press. He recalled the cases of the new bureau chief of Agence France Presse news agency and that of Mauricio Vicent, correspondent of Spanish newspaper El País and Cadena Ser radio, both of whom were denied permission to work in Cuba. “What is noteworthy is the absence of solidarity shown by Latin American governments to the Cuban people and their failure to denounce human rights violations. The only solidarity we have noted to date is that which the governments are giving the Raúl Castro regime,” Marroquín said. Since July last year, following talks between the Cuban authorities, the Roman Catholic Church and the Spanish government, a total of 22 independent journalists have been released from jail and ordered to leave Cuba, most of them going to Spain. Is this the Start of a Bleak Cuban Autumn? Whereabouts of Sara Martha Fonseca Quevedo and Yris Pérez Aguilera remains unknown. Eyewitness reports emerge that they were badly beaten and in poor condition. Update 9/29/11: Sara Martha Fonseca Quevedo located in detention facility by family. Yris Pérez Aguilera whereabouts continue to be unknown. “My mother (Sara Martha) has severe pains from a violent physical blow given to her on her spinal chord, carried out by State Security officials“, Fonseca explains. “As for my father (Julio Ignacio) he is also in lots of pain." On Monday, September 26th, ‘Julito’ and a group of dissidents attempted to head to the police unit of Santiago de Las Vegas to obtain information about his parents, but state security agents quickly surrounded them. 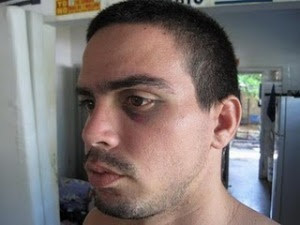 Fonseca reported that, “We were savagely beaten and then detained. I have bruises on my eye and pain all over my elbows." He was released a day later on September 27, but both his mother and father remain detained and there whereabouts unknown. Yris Pérez Aguilera, Donaida Pérez Paseiro, Yaimara Reyes Mesa, Rosa Parks Women's Movement for Civil Rights remained detained and like his mother unaccounted for. "My wife Yris Tamara Pérez Aguilera ... was brutally beaten this September 26 in a nonviolent protest in the streets of the Havana municipality of Rio Verde. At noon yesterday (September 26) she was mysteriously removed from the police station of October 10 & Aguilera in the capital and her whereabouts are unknown. As this occurs, political police officers have my home under siege. I fear for the life of my wife, beaten so many times and with serious health problems," said Jorge Luis García Pérez “Antúnez” by telephone with the Assembly of the Cuban Resistance on the evening of September 27, 2011. Partial summary of arrests in recent days in Cuba (including in bold the names of the members of the Resistance who are still detained.) Names taken from list provided by the Cuban Democratic Directorate. Sara Martha Fonseca Quevedo; Julio León Pérez- Pro-Human Rights Party Affiliated to the Andrei Sakharov Foundation. ALL are of the Orlando Zapata Tamayo National Civic Resistance and Civil Disobedience. Yris Pérez Aguilera, Donaida Pérez Paseiro, Yaimara Reyes Mesa, Rosa Parks Women's Movement for Civil Rights. Mayra Morejón, Rosario Morales La Rosa, Ivonne Mayesa Galano, Christian Democratic Unity. 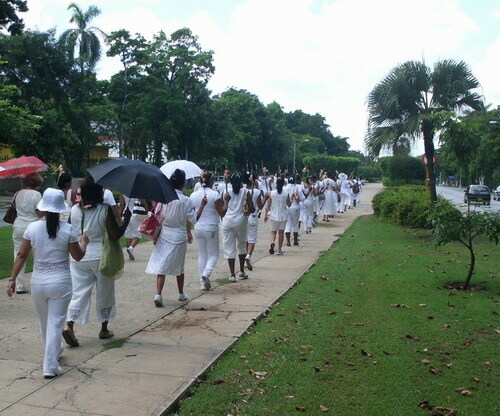 Belkis Cantillo, Tania Montoya and Aymé Garcés, of the Ladies in White in Eastern Cuba. Arnaldo Ramos Lauzerique, former political prisoner. Santa Clara, to attend trial of Daylín Hernández Caballero and Pedro Antonio Blanco Fleitas. Jorge Luis Oliver, the last of these of the Anti-totalitarian Forum. Marta and Raimundo Blanco Fleitas. All of the Central Opposition Coalition and the Orlando Zapata Tamayo National Civic Resistance and Civil Disobedience. Jorge Luis Artiles Montiel, and Javier Sol Díaz. All of the Anti-totalitarian Forum. 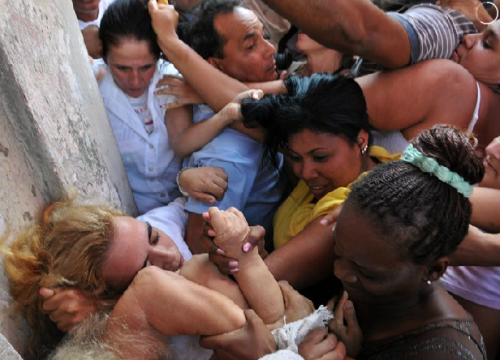 This past Saturday September 24, 2011 Cuban women were targeted by the dictatorship's state security apparatus. Images of the Ladies in White attacked by a mob bussed in by the regime were photographed and news of it made the international wires. Even if some of the articles tried to downplay the violence. However, the fate of a number of other brutalized and detained activists went unnoticed by the international media. Two of them at this moment continue to be imprisoned and activists fear for their well being in addition to the possibility of a show trial followed by an unjust prison sentence or a mysterious death following their release. Their names are Sarah Marta Fonseca Quevedo and Yris Tamara Pérez Aguilera. Both are mothers, wives and human rights defenders. Sarah Marta Fonseca is president of the Pro-Human Rights Party affiliated to the Andrei Sakharov Foundation in Havana and Yris Tamara Pérez Aguilera is the president of the Rosa Parks Feminist Movement for Civil Rights and based in Placetas. Both women have been beaten up and detained in the past for defending the human rights of others and exercising their own. Beaten up badly enough by Cuban state security agents to suffer both physical effects long after wards. Just a few weeks ago, on August 23, 2011 Sarah Marta Fonseca Quevedo took to the capitol steps in Havana in a public demonstration that attracted international attention. Below is footage of the protest. Along with another clip of interviews with three of the four women who participated in the public protest. One of them being Sarah Marta Fonseca Quevedo. The Cuban Democratic Directorate reported that "[a]t approximately 6:00pm on September 24, as Resistance members prepared to engage in a nationwide pots and pans protest scheduled for that night" when state security agents organized a repudiation rally outside the home of Fonseca Quevedo, where several activists were attacked, beaten, and detained. Among these were: Sarah Marta Fonseca Quevedo, her husband Julio Ignacio León Pérez, Jorge Luis García Pérez “Antúnez”, Hermógenes Inocencio Guerrero Gómez, Ramsés Miranda Camejo and Eriberto Liranza Romero. Hablemos press captured the act of repudiation and the attacks on Sara Martha by two attackers. First by an unidentified man who charged at her and secondly by a woman who started hitting her from the back. She managed to evade her attackers only to see that her husband had been knocked to the ground and was being kicked in beaten by a group of state security agents. She runs over to try and break it up, but instead is detained and badly beaten. According to Sara Marta's son, Julito León Fonseca, in a telephone interview in which he outlined his parents’ situation stating "that they want to try them for 'Contempt' and 'Assault', which is not true. [...] As of now, I know that my mother is being held at Cuarta del Cerro, and my father [...] at El Capri. [...] The information about my mother reached me thanks to Odalis Caridad Sanabria, who contacted a person who was being held at Cuarta del Cerro. This person added that my mother was so badly beaten that she could barely stand. It seems her spinal column sustained an injury caused by a blow delivered by State Security". The next day according to a communique from Jorge Luis García Pérez “Antúnez” [no longer detained] was made public on Tuesday, August 27 that describes what happened to his wife, Yris Tamara Pérez Aguilera: [S]he was violently arrested together with other nonviolent activists Donaida Pérez Paceiro, Yaimara Reyes Mesa and others as they carried out a nonviolent demonstration in the neighborhood of Río Verde demanding the release of Sara Marta Fonseca Quevedo and a dozen activists arrested the day before. According to activists and other eyewitnesses, the police began beating and kicking protesters with particular intensity against Perez Aguilera in a brutal and sickening manner. The director of the feminine organization, Mari Blanca Ávila Expósito, detained together with Yris in one of the dungeouns of the famous police station October 10 and Aguilera that she saw her extremely beaten up and in very bad conditions. More worrisome still, she was a witness of how at noon yesterday Yris in a very poor state was transferred to whereabouts unknown. Despite all of this, a small group of the Ladies in White, made it to Mercy Church on Saturday and marched on Sunday to Santa Rita Church. The picture below is from Sunday's march and was taken by Fotos Desde Cuba. Please speak out for these women who are risking all for human rights, dignity and freedom. 14. Calls upon the Government of Cuba to guarantee its citizens’ right to freedom of movement both inside and outside the country, particularly in light of the use of Decree 217 to restrict access to Havana in order to keep dissidents away from the city, and the legal requirement to obtain official permission prior to traveling abroad, which has been used, inter alia, to forbid independent journalist and dissident Guillermo Fariñas from traveling to Strasbourg in December 2010 to receive the 2010 Sakharov Prize for Freedom of Thought, and to forbid internationally acclaimed blogger Yoani Sanchez, at least 17 times over the past four years, from leaving Cuba to accept awards and participate in conferences. On September 23, 2011 in the later afternoon Ambassador Alfred H. Moses gave concluding remarks for the Summit highlighting speakers and ideas over the two days of the We Have a Dream: Global Summit Against Discrimination and Persecution. He concluded by announcing the declaration below. Two decades ago, the Soviet Union, the other great tyranny of the twentieth century, collapsed amidst the cry for freedom that first resonated through its satellite states. Today, across the Middle East, we are witnessing that same cry echoing from Cairo to Tripoli to Damascus, as old regimes are swept aside or cling to power through ever more brutal means. o Protect children from ideologies of hatred and intolerance that promote contempt for fundamental human rights. 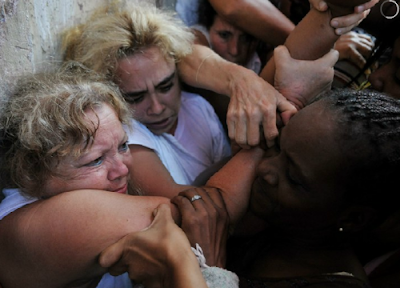 Cuba's Ladies in White and other opposition activists were beaten up and detained over the weekend and brutalized by mobs organized by state security agents and bussed in to harass and physically assault activists. Despite this a group of the women managed to evade state security and were able to attend Church and saw a demonstration of solidarity from hundreds of fellow Cubans in attendance also dressed in white. How was this reported in the international media? "Some 300 activists backing Cuba's Communist government shouted down 35 relatives of political prisoners, some of whom were roughed up, an AFP journalist witnessed." The BBC described it as follows: "Government security agents looked on but did not intervene as the two groups argued. There was no violence." The Associated Press reported that "Authorities pulled a bus up to the door of the residence, but it soon left without any of the Ladies on board. It was unclear why the bus was brought to the scene.Beyond the pushing and yelling, no violence broke out. " The dictatorship's state security buses in a mob to attack nonviolent activists and the reports describe them as "activists backing the government." When someone is picked up at their place of work and told that to hold on to their jobs and not be black listed at school they have to engage in a mob attack on dissidents or are themselves state security agents in either case they cannot be described fairly as "activists." It is at best poor reporting if not outright misrepresentation. This was not the finest hour of the international news media. It is the third time in as many months that the behavior of the international news bureaus in Cuba have drawn attention due to the lack of objective coverage and either silence or slanting the news to favor the dictatorship. Sadly, the regime strategy of reporters being expelled from Cuba when they report too often, for the dictatorship's liking, on opposition activities is effectively impacting media coverage in Cuba. This regime practice has gotten worse not better under Raul Castro. Editors should ask themselves is it really worthwhile to maintain a presence in Cuba if what is being reported does not reflect what is actually taking place? Worse yet that courageous bloggers and amateurs abroad are scooping the professional news media based in Cuba? Right now if you want to know what is happening to human rights defenders and pro-democracy activists you are better off following Cuban bloggers and twitterers while being able to differentiate between those run by the regime and those that are authentically independent. In the midst of the assault on the Ladies in White today in Havana by State Security agents and the mobs they bussed in the testimony below of Bertha Antunez seems appropriate to post. In addition her biographical information reproduced below highlights what Cuban women face in the island under this dictatorship. Ms Antúnez Pernet was born in 1959 to a family of limited means. Her political awareness was triggered by the arrest and incarceration of her brother, Jorge Luis Garcia Perez. After asking for political change in a public square, he was sentenced to six years in prison on the charge of oral and written enemy propaganda. Jose Luis’s sentence was extended during his confinement. During this time, Ms Antúnez Pernet visited her brother and other unjustly convicted prisoners and became increasingly aware of the human rights situation in Cuba. In January 1997, she founded with other family members of political prisoners the organisation National Movement of Civic Resistance “Pedro Luis Boitel”, to fight harassment in prisons. They declared they would no longer be denied visitation rights nor be blocked from telling the truth about the prison abuses against their love ones. The group also supported the Pedro Luis Boitel Political Prisoner’s Organization founded in 1995 by Jorge Luis and other political prisoners at Kilo 8 Prison in Camagüey. By 1999, the National Movement had collected over 5,000 signatures in support of the general amnesty of political prisoners in Cuba, carried out mutliples protests and held sit ins in front of various prisons throughout the island. In 2004 Bertha Antúnez was recognized with the Pedro Luis Boitel Freedom Award for her civic activism. Ms Antúnez Pernet’s brother was released on April 22, 2007, making him one of the longest serving political prisoners in Cuba. Since February 2008, Ms. Antúnez Pernet has been living in Miami as part of the exile community. I’d like to dedicate this presentation to the memory of Father Miguel Angel Loredo, Franciscan priest and Cuban prisoner of conscience who served 10 years of an unjust prison sentence and passed away in St. Petersburg earlier this month, who I had the honor of knowing. Totalitarian regimes seek to first muzzle then eliminate an independent and free press along with human rights defenders and other critical voices. Over the past 52 years, Cuba under Castros' communist dictatorship imposed a brutal regime with violence and terror. Prior to 1959, Cuba had problems – an authoritarian dictatorship imposed in 1952 that was unwanted – however it did have numerous newspapers, radio stations and television that challenged the Batista regime along with a vibrant civil society that struggled and protested against the dictator. Now with the arrival of the Castro regime in 1959 promising the restoration of democracy and the rule of law – the exact opposite was done. Mass executions broadcast and filmed to terrorize the population. Independent newspaper editors, first warned that their lives were at hazard if they wrote critically against the regime and within a year and a couple of months all of the independent newspapers were shutdown, on occasion by violent mobs organized by the dictatorship and replaced with regime publications subordinated to the communist party line. On August 3, 2011, José Ignacio Rivero passed away in exile in Miami he was the last publisher of Cuba’s legendary Diario de la Marina from 1944 to 1960. It was a family paper handed down from father to son over three generations. José Ignacio was the son of Pepín Rivero (publisher from 1919-1944) and the grandson of its founder Nicolás Rivero. It was Cuba’s longest running newspaper with the highest circulation with roots back to two newspapers: 1813 with El Lucero de la Habana (The Havana Star) and the Noticioso Mercantil (The Mercantile Seer) whose 1832 merger established El Noticioso y Lucero de la Habana, which in 1844 was renamed the Diario de la Marina. 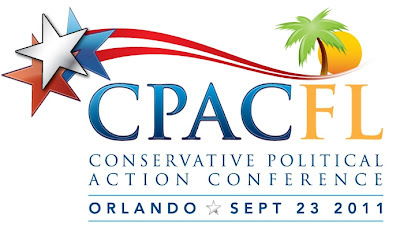 Though a conservative publication, its pages gave voice to a wide range of opinion. It gave a platform to many distinguished Cuban intellectuals. Over its long history La Marina kept faith with a conservative philosophy that from 1902 to 1959 defended the best interests of a democratic Cuba, while opposing the dictatorships of Gerardo Machado in the 1930s and Fulgencio Batista in the 1950s. It was the only newspaper in Cuba that published the letters from Huber Matos, one of the commanders of the revolution, denouncing the emerging communist dictatorship written from his prison cell after his October 1959 arrest for “counter-revolutionary treason”. On May 12, 1960—the Diario de la Marina newspaper was closed, a day after José Ignacio Rivero took refuge in the Peruvian Embassy in Havana. The day following the closing of La Marina, Cuba's last remaining privately-owned newspaper (Prensa Libre) “Free Press” was attacked by a mob and shut down. La Marina’s offices and equipment were confiscated by the dictatorship and used to publish its dictatorship controlled newspapers. Other pillars of the totalitarian regime were imposed. The second pillar: FEAR. Terror imposed on the population through the widely broadcast mass executions and a huge population of political prisoners. The third pillar: ABILITY TO REPRESS was achieved when the army was politicized with officers sent to be trained in the Soviet Union and a massive state security apparatus set up to spy on Cubans. The East German Stasi came to Cuba and helped train and form the Cuban State Security apparatus that even today strikes fear into the hearts of many Cubans. 40,000 Soviet troops would be stationed in Cuba and the Lourdes spy base constructed to spy on the United States. After the fall of the Soviet Union the Chinese moved in and took over the base to continue spying on the United States. Over time the totalitarian apparatus forged “laws” which justified the already existing practices of outlawing free speech both spoken and written. Written and Oral Enemy propaganda or assisting in the distribution of either would net you lengthy prison terms and are still on the books today. In the late 90s the dictatorship passed Law 88, also known as the gag law, which threatened Cubans with 20 year prison sentences and even the death penalty for speaking critically of the regime to an international media source. Courageous Cubans throughout all of this fought and resisted the dictatorship. During the 1960s many of the Castro brothers own comrades from the July 26 movement went back into the hills of the Escambray and fought bravely until they were crushed in the late 60s and the peasant populations that supported them relocated in mass to other parts of the island. Beginning in 1976 a new phase emerged with the establishment of the Cuban Committee for Human Rights founded in the prisons that managed to smuggle out reports of gross and systematic human rights abuses. In the 1980s with the establishment of Radio Marti during the Reagan Administration, for the first time in over 20 years Cubans had the ability to get some alternative means of information – even if they had to do it discretely listening to shortwave radio broadcasts. In the latter part of the 1980s and through to the present the emergence of a nonviolent democratic opposition, first focused in Havana and then spread out across all the provinces of the country have challenged the totalitarian regime. The dictatorship continues to respond with terror and repression attempting also with greater sophistication to jam radio and television signals from entering Cuba. The same holds true now for the internet. In 1990, Jorge Garcia Perez “Antunez” stood up in a public square in the middle of Cuba and called for Eastern European style reforms. He was arrested for oral enemy propaganda and began a 17-year journey through Cuba’s prisons. Despite the brutality of his imprisonment, today he is active on the streets of Cuba and has organized a national civic resistance front. During the March 2003 crackdown in which 75 human rights defenders, independent journalists, and Varela Project petitioners were arrested, summarily tried and sentenced up to 28 years in prison the regime floated the idea of passing one or two death sentences for an independent journalist and a Varela Project organizer. International outrage over the mass arrests of the dissidents along with the execution of three young black Cubans arrested, tried and executed within a week for hijacking a boat to flee the country (no one was injured or killed during the hijacking) led the regime to back down. Today, in 2011 with regards to freedom of expression, Amnesty International and Human Rights Watch describe a climate of fear created by restrictions on freedom of expression. There are new prisoners of conscience and new martyrs. Luis Enrique Labrador, 33; David Piloto, 40; Walfrido Rodríguez, 42; and Yordani Martínez, 23, were sentenced between 2 to 5 years in prison in Havana on May 31, 2011 for distributing pamphlets criticizing Raúl and Fidel Castro. Human Rights defender Juan Wilfredo Soto Garcia died on May 8, 2011 three days after a brutal beating by state security agents three days earlier on May 5. Speaking out can mean the difference between life and death. How many of you here have heard of Anatoli Marchenko? I see a few hands. How many of you have heard of Natan Sharansky? I see many more hands raised. Both went on a hunger strike in the Soviet Union. Because few spoke up for Anatoli Marchenko the Soviets let him die, but because the world knew who Natan Sharansky was, he is still alive today. Many of you who’ve heard of Marchenko know who he is because he was posthumously awarded the European Union’s Sakharov Prize. We saw this repeated in Cuba with the case of Orlando Zapata Tamayo. He wasn’t a leader of the opposition, just a black Cuban, a carpenter and bricklayer who wanted to see his country free. He was an activist for freedom. They thought they could imprison him and allow him to die because as Fidel Castro said of a group of young black men he had summarily executed after hijacking a boat trying to obtain freedom – he thought the world would not miss “a black.” He was wrong and because the world reacted to Orlando Zapata Tamayo’s death on February 23, 2010 because activists raised their voices in denunciation. This meant that when independent journalist Guillermo Fariñas went on hunger strike, the following day on February 24, the dictatorship reacted very differently and eventually gave into his demands. Guillermo Fariñas is still alive because the international community, people like you – activists in the social networks – made his name known and put pressure on your elected officials to speak out on his behalf. Let me end by asking you to do your part in breaking down the regime’s information monopoly. Spread the word about Cuba’s civic resistance and their struggle for freedom. Let others know of the prisoners of conscience still imprisoned for their ideas and democratic principles inside Cuban prisons. Thanks to social media you have the power to spread the word to the entire world and make a difference. Saving lives and helping to free an entire people. The alternative: remaining silent and letting high level quite diplomacy with the dictatorship is a proven failure not only for dissidents but for a U.S. citizen. Alan Gross, who sought to provide internet to Cuban Jews on the island has been rotting in a prison cell because of an American policy of appeasement to the dictatorship that has failed. Ask Governor Richardson. Offering unilateral concessions, including waiving the parole of one the five Cuban spies – who were involved in spying on the US and planned to send a mail bomb to who they identified as a CIA agent in Bal Harbour Florida demonstrates weakness. The dictatorship responded with contempt believing it could get more and Alan Gross continues in prison. Please speak out and keep an eye on what is happening in Cuba, especially this Saturday. It is the feast day of the Virgin of Mercedes, the patron saint of prisoners and the Ladies in White are planning a march. Regime bloggers and state security are already warning that the march will face repression. Video of the entire panel's presentations available here. Fortunately for me and many Cubans, technology has permitted us to project our voice both inside and outside the island, to be able to reach those places where our government does not permit us to travel. But the path to end the censorship and the state monopoly over information is still a very long one for us. Precisely on that topic I want to speak to you today — of the personal civic drama that signifies not being able to significantly access the new technologies and especially the internet. We are a nation locked in the 20th century; we are still unable today to navigate in cyberspace. We need to pass through an ideological filter, or pay a very high price that is inaccessible for our salaries. Only the very reliable functionaries, the foreigners in our country, or the communicators from our official sector, can have access to internet from their homes. 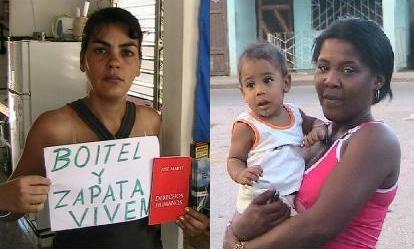 The rest of the Cuban citizens are condemned to an information blockade. And for that reason, today, at this forum, I want to denounce the crimes against connectivity that the Cubans are suffering, in not permitting us to gain access to other information…the citizens of this country are being victimized by a crime against journalism and mafia. It is a violation of our rights to be denied knowledge of what happens outside and inside of our national frontiers. Nevertheless, despite these restrictions, human rights activists, non-conformist citizens, and non-conformist artists are finding the way to express and spread their voice. The magnificent tool of blogs and Twitter have served us as a substitute to the free press that we do not have. From the small country in the east of the country, from the places where no one has ever seen a computer connected to the internet, through cell phones, Cubans are able to tell our story. Messages going out through Twitter are like an SOS, a call for help that is able to leap over the wall of control. Technology has protected us. We have avoided in many cases that the repression would be excessively harsh with us. Each minute that passes that we Cubans are not permitted the massive access to the technologies, are years and years that we remain behind professionally and as citizens. International community: please, pressure Cuba, so we could feel like individuals of this millennium, and interact with the citizens of the world on an equal basis. To get information today is to get democracy for tomorrow. Yesterday in New York City at the We Have a Dream Global Summit Against Persecution and Discrimination, in the shadow of the United Nations General Assembly gathering, the solidarity of the shaken was seen in action. 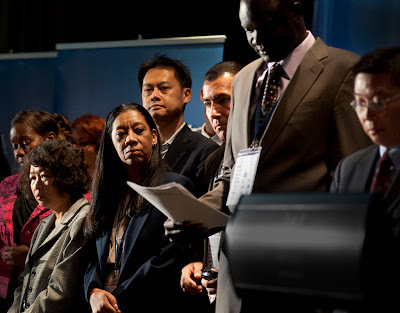 Victims of persecution gathered to bear witness and testify against the permanent state of war waged against citizens in the dictatorships and totalitarian regimes they had suffered under. According to Wikipedia Jan Patočka (who originated both the phrase and idea behind "solidarity of the shaken quoted in part above ) was both a brilliant Czech philosopher and one of the founders and main spokesman of the Czech dissident movement, Charter 77. He gave courses at the Underground University in order to offer a free and uncensored academic experience in the midst of communist Czechoslovakia. He died at the age 0f 69 on March 13, 1977 after a brutal 11 hour interrogation by the Czechoslovak secret police of what authorities described as "apoplexy." Apoplexy is defined by the U.S. National Library of Medicine as "bleeding into an organ or loss of blood flow to an organ." This was nine years after the Prague Spring was crushed by Soviet tanks and 12 years before the wonderful Velvet Revolution that nonviolently did away with totalitarianism and ushered many of Jan Patočka's friends, Vaclav Havel among them, into power in the space of ten days and begin a successful transition to democracy in that country. On this blog the term, solidarity of the shaken, has been used on numerous occasions but never was it more relevant than today in New York City at this Summit Against Persecution and Discrimination held at the W Hotel on 541 Lexington Avenue over September 21st and 22nd. In a world where all too often it is the oppressors putting aside their ideological differences to collaborate in how engage in greater acts of terror against their respective populations it is a breath of fresh air when the victims of these regimes gather to denounce injustice and share experiences. In other words to practice the solidarity of the shaken. The other time and place where I've seen it in action was in the Czech Republic at Forum 2000 in 2009 a meeting organized annually by Vaclav Havel. Not all the speakers were victims of persecution, for example David Keyes, Executive Director of Advancing Human Rights who gave an important presentation on NGO Strategies for Helping Human Rights Defenders and he immediately caught my attention when he spoke of Anatoli Marchenko, who had died after a long hunger strike in the Soviet Union. Contrasting Marchenko he spoke of the example of Natan Sharansky and how rather than dying on hunger strike he was released. He then went on to cite Elena Bonner who said that "the only real defense for us and everyone fighting for human rights is publicity." Thanks to UN Watch his entire presentation is available below and a must for any serious activist or aspiring leader. A second speaker, Nasser Weddady, Anti-slavery activist in Mauritania offered an overview of the challenges facing human rights activists and concrete things that civil society can do to hold both Western countries and international human organizations accountable when dealing with repressive regimes. However, it was the voices of those who had suffered persecution and discrimination that impacted emotionally throughout the day and at the same time offered insights into the repressive natures of these regimes. Listen to their testimony and spread the word to others to watch these videos. If you do this you will be engaging in positive action and joining this network of the solidarity of the shaken. Thaung Htun, Burmese government-in-exile speaks on "Freedom for Aung San Su Kyi, Freedom for Burma? The Junta vs. Democracy"
Yang Jianli, Former Chinese prisoner of conscience and founder of Initiatives for China on "Crackdown in China: Jasmine Revolution and the Arab Spring"
Ahmad Batebi, Former Iranian political prisoner on "Iran: Lessons from the 1979 Revolution" and his experience in prison. In addition a message from Ayatollah Boroujerdi currently jailed in Evin prison in Iran was read. Young Ae Ma, North Korea defector speaks on"My Years in North Korea" and described how her husband was publicly executed in retaliation for her defection from North Korea and promoting human rights there. Ngawang Sangdrol, Tibetan nun and former prisoner of conscience on being "Jailed for Singing Songs of Freedom"
Rami Nakhleh, Syrian dissident, on "Syria's Assad Regime: From Promised Reform to Ramadan Massacre"
If you are not in New York City and want to watch the Summit live via video stream starting at 9:00am on Thursday then visit the website http://ngosummit.org/stream.php and join in the solidarity of the shaken. History has demonstrated that delegating responsibility to politicians and unelected bureaucrats without holding them to account is a recipe for disaster. The United Nations is but another example. The future of human civilization depends on individuals holding those with power accountable. 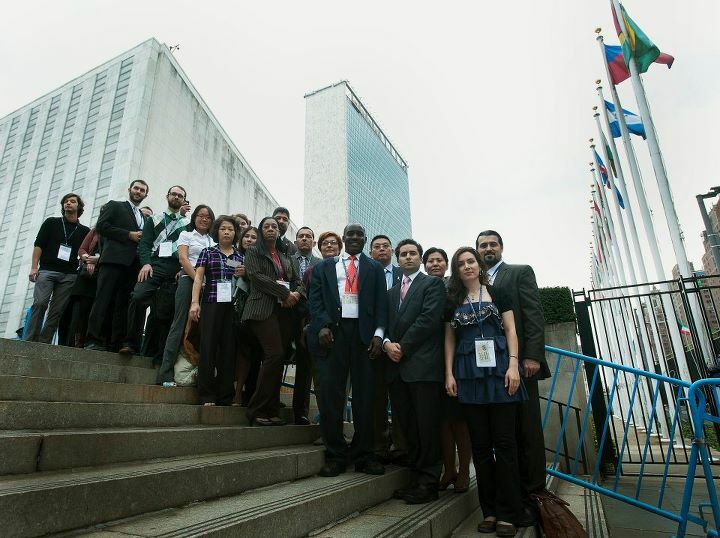 The United Nations General Assembly opens tomorrow with the theme of the general debate for the 66th session being "The role of mediation in the settlement of disputes by peaceful means." At the same time Durban III, the informal name for a high-level United Nations General Assembly meeting to mark the 10th anniversary of the adoption of The Durban Declaration and Programme of Action will be held in New York City on Thursday, September 22, 2011. The Durban meetings are supposed to address the issue of racial discrimination but at times have been hijacked in the service of other less lofty agendas and rhetoric. At the first Durban meeting in 2001, Yasser Arafat, the then Palestinian leader, described Israel as having "a supremacist mentality, a mentality of racial discrimination," while Cuban leader Fidel Castro accused it of perpetrating "genocide against the Palestinian people." At the second Durban meeting in 2009, Iranian President Mahmoud Ahmadinejad suggested the Holocaust never happened and called repeatedly for Israel's destruction. Few, for example, will forget Libyan Col. Moammar Khadafy's 2009 appearance, when he delivered a rambling, 1-1/2-hour speech, tossed aside a copy of the UN charter and called the Security Council a "terror council." When the world body does make the news, it's about the outrageous theatrics of its participants: Ahmadinejad denying the Holocaust, say, or Venezuelan dictator Hugo Chavez suggesting that former President George W. Bush was Satan. The UN's bloc of authoritarian states are all too powerful to prevent the democratic impulses sweeping the world from surfacing in the world body. Back in March, after Libya was finally suspended from the UN's Human Rights Council, I had occasion to address that body. Recalling the case of Liu Xiaobo, a writer serving an 11-year jail sentence for advocating freedom, I asked how China's Communist regime, whose victims run into the millions, could remain as a member. I was interrupted by China and Cuba and never received an answer. In practice the United Nations General Assembly has been a tragic failure, as has been described by the Jerusalem Post, with its disproportionate focus on Israel and shameful silence or complicity with brutal dictatorships around the world. Twenty anti-Israel resolutions versus five or six others for the rest of the world is a sign that something is wrong with the institution. Faced with this reality in which a bloc of authoritarian, and totalitarian, states cooperate to frustrate and bloc not only the democratic aspirations of people around the world but also there fundamental human rights people of good will must find alternatives. One such alternative will be taking place over September 21 and 22nd at the W Hotel 541 Lexington Avenue and draws its inspiration from Martin Luther King Jr., it is the We Have a Dream Global Summit Against Persecution and Discrimination. Hugo Rafael Chávez Frías, who was democratically elected president in 1999, is a tyrant. His reaction to losing a ruling in the Inter-American Court of Human Rights demonstrates that he is an absolute ruler unrestrained by law or constitution. 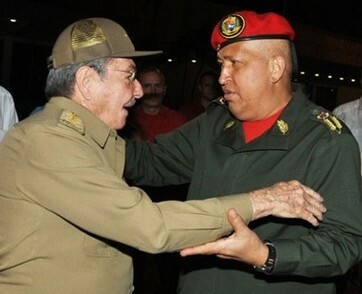 Chavez has finally completed his transformation into a Venezuelan version of the Castros. The Venezuelan regime run by this tyrant attempted a maneuver to remove a political adversary from participating in the upcoming 2012 presidential elections without due process. Since Venezuela on April 24, 1981 recognized the jurisdiction of the Inter-American Court of Human Rights that provided opposition leader Leopoldo López a legal forum that has not been stacked by the Venezuelan tyrant to hear his case. The Inter-American Court of Human Rights (IACHR) ruled on Friday that opposition leader Leopoldo López could run for Venezuela's presidency next year. The Court's decision is available online in Spanish. Human Rights Watch has reported that the courts in Venezuela are no longer a check on the power of the Executive. Outside of the Inter-American Court Venezuelans seeking redress from abuses by the Executive branch have no where to go in the Venezuelan court system for a fair hearing. Now representatives of the Venezuelan regime claim that the Inter-American Court of Human Right's decision is politically motivated and attacked both the decision and the court. According to the independent journalist, more than 40 people in Santa Clara and other towns in Villa Clara province, as well as in the nearby provinces of Sancti Spiritus and Cienfuegos, were arrested after planning to participate in a peaceful march. The title given to the protest made reference to two late dissidents – Pedro Luis Boitel and Orlando Zapata – who died in 1972 and 2010, respectively, after lengthy hunger strikes behind bars. An SOS from Jorge Garcia Perez "Antunez" over twitter on Saturday to people of goodwill from around the world is extremely worrying in which he asked: "raise your voice for Yris, she is imprisoned in bad health, chest & stomach swollen, vomiting." Earlier this summer, on July 6, 2011, the Inter-American Commission on Human Rights issued precautionary measures for Yris Tamara Pérez Aguilera: as a result of a new attack she suffered on May 25, 2011, she is suffering from cervical trauma, memory loss, and headaches, and has not been provided with the medical treatment she needs. 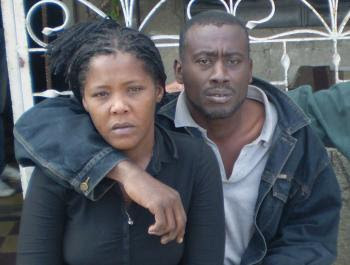 The Inter-American Commission asked the State of Cuba to adopt any necessary measures to guarantee the life and physical integrity of Yris Tamara Pérez Aguilera; to reach agreement with the beneficiary and her representatives on the measures to be adopted; and to inform the Commission about the actions taken to investigate the facts that led to the adoption of precautionary measures. Also on Saturday, youth leader Rolando Rodriguez Lobaina tweeted that "various activists had been detained today in Bayamo when attempting to carry out the March for Liberty Boitel and Zapata Live! "This video is from the last Sunday that they marched in the streets of Santiago upon exiting Mass in the Cathedral. 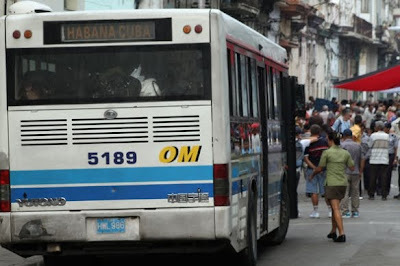 Both this Sunday and last they did not assist mass because they were occupied organizing assistance to the families of more than a dozen who were detained in Palma Soriano, Santiago de Cuba. Once the detained and their families have a better coordinated and more efficient assistance, they will return to attend Mass and ask for political prisoners and the respect for human rights." "In it you see and hear the Castroite mobs offending with obscene language nonviolent opposition activists that are victims of a fascist act prepared by the political police of the dictatorship of Raul and Fidel Castro. These are the famous revolutionaries of the Castros, the vulgar and aggressive fruit of the moral degradation engendered for more than half a century by the communist dictatorship. To those with a good understanding this video is sufficient for them to know the essence of the Castro dictatorship." Since the month of July every weekend has been one of repression in Cuba but increasingly one is seeing that resistance is on the upswing in Cuban society and the increasingly desperate nature of the repression is a sign that the dictatorship fears that they are losing control.